Late on the afternoon of 12 June 1916, HMAT Marathon arrived at the entrance to Cape Town. Entry to the port was delayed due to heavy fog. Eventually the ship anchored in Table Bay where the ship Argyleshire with the Australian 7th – 9th Field Artillery and the 9th Field Ambulance on board, and the Beltana carrying the 35th and 36th Battalion re-enforcements were also anchored. Some of the Kurrajongs were aboard the Beltana, quarantined due to illness among those on board. 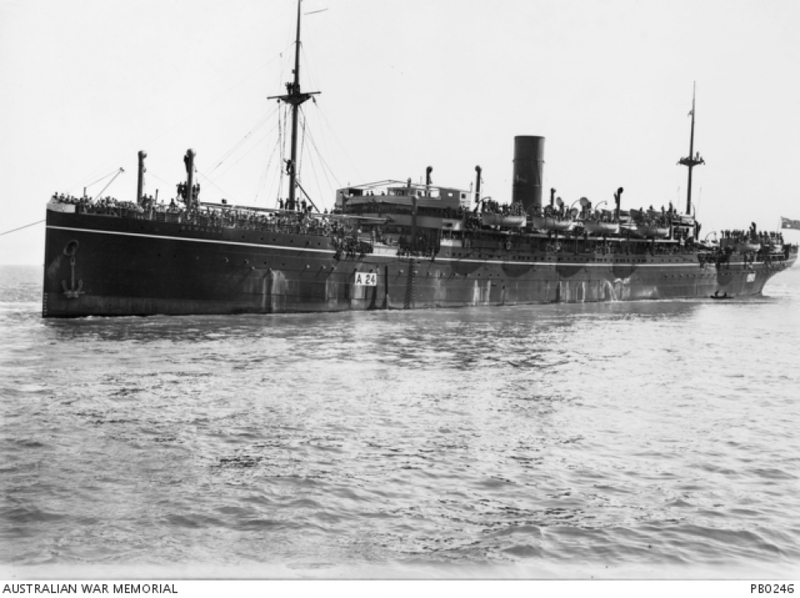 The following day whilst the men were confined to the ship, re-coaling of the Marathon commenced On their second day in port, the 33rd Battalion participated in a long route march, once again headed by their band. They admired the view of Table Mountain and various city buildings. 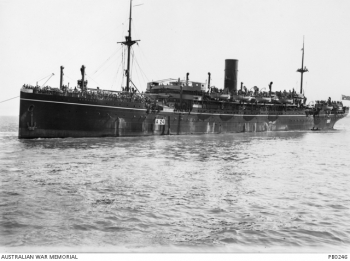 Kurrajong Private Turner noted in his diary that during the night of 14th June, two more Australian transport ships arrived – the SS Demisthene with Queensland’s 41st Battalion and the SS Benalla with Carmichael’s 36th Battalion on board. Apparently there were great cheers of welcome from those already in port.